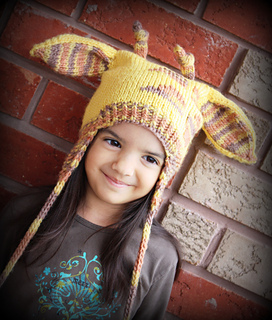 This select pattern is included in the Indie Design Gift-A-Long! 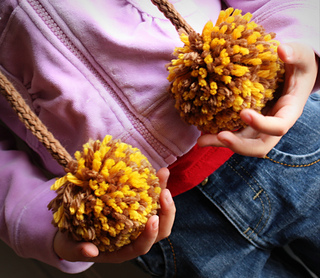 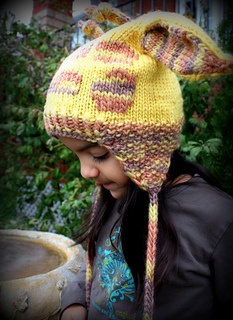 You are invited join us at http://www.ravelry.com/groups/indie-design-gift-a-long to participate. 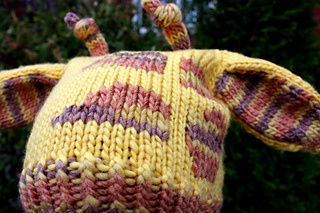 There will be hundreds of prizes, beautiful projects, access to your fave Indie Designers, and heaps of friendly, giftie chatter. 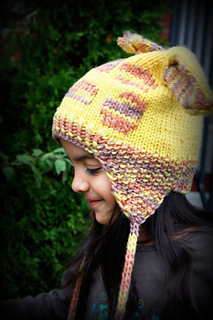 Knit seamlessly from the top down, using Judy’s Magic Cast On, this little hat be can knit in just a few hours. 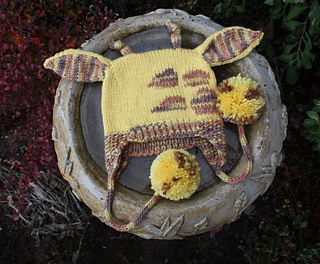 The ears are knit flat, then seamed and sewn into place. 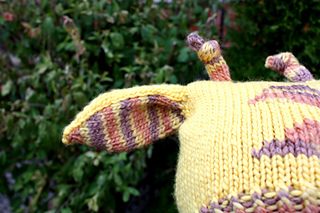 Horns are knotted I-cords and the spots are duplicate stitched on. 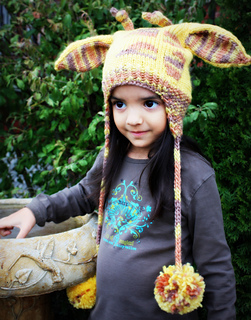 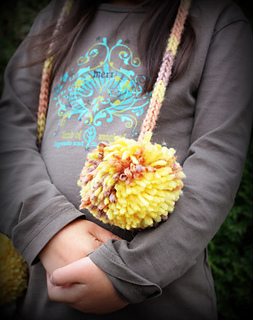 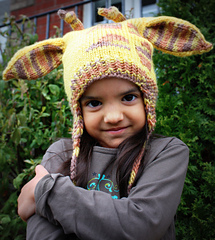 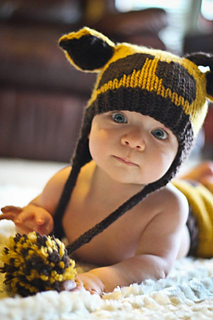 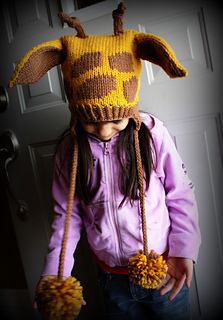 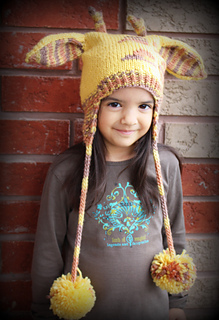 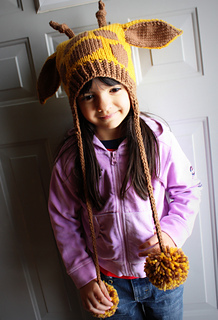 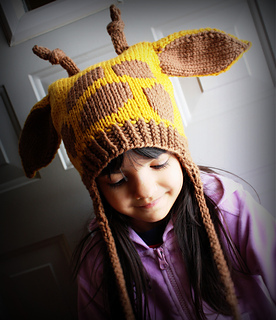 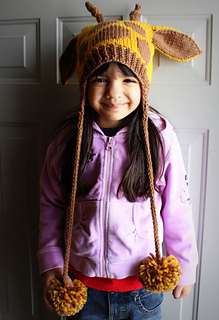 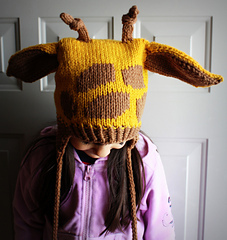 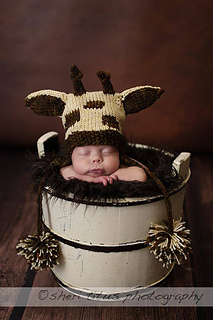 Features moss stitch ear flaps, a comfortable fit, and nice long ties; a great toque for giraffe lovers!